Ebony Fretboards- These are good quality boards.Minimum size 8.5-9.5mm thick. Rectangular, not tapered, with a minimum width of 68mm. At least 21" long. 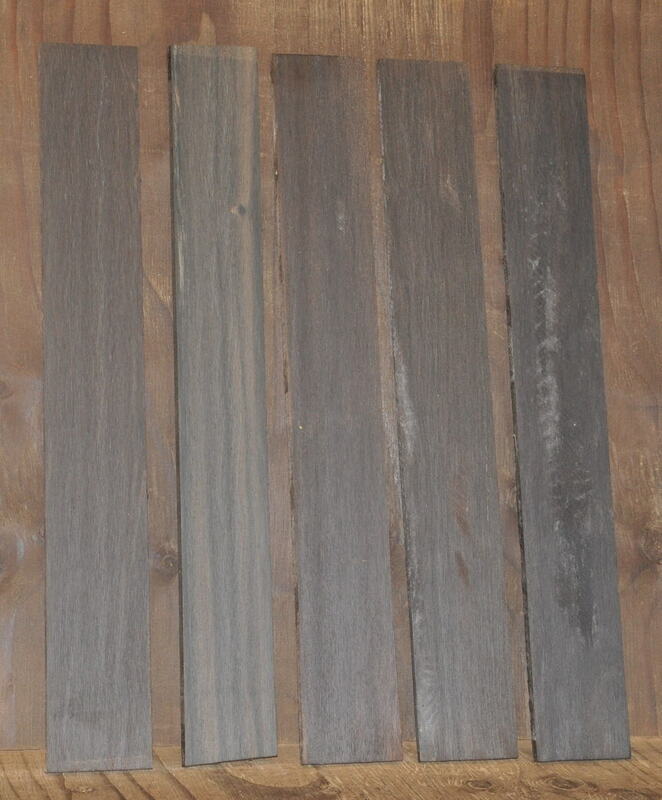 Some boards may show light browns as all ebony does these days. All nice straight pieces. Fretboards in photo have only been skip sanded. Some saw marks still shown. All pieces air dried a minimum of 5 years. Some much longer. $22.00 each 5 or more $20.00 each. Best deal is to order a bunch and have them shipped in a large flat rate box. 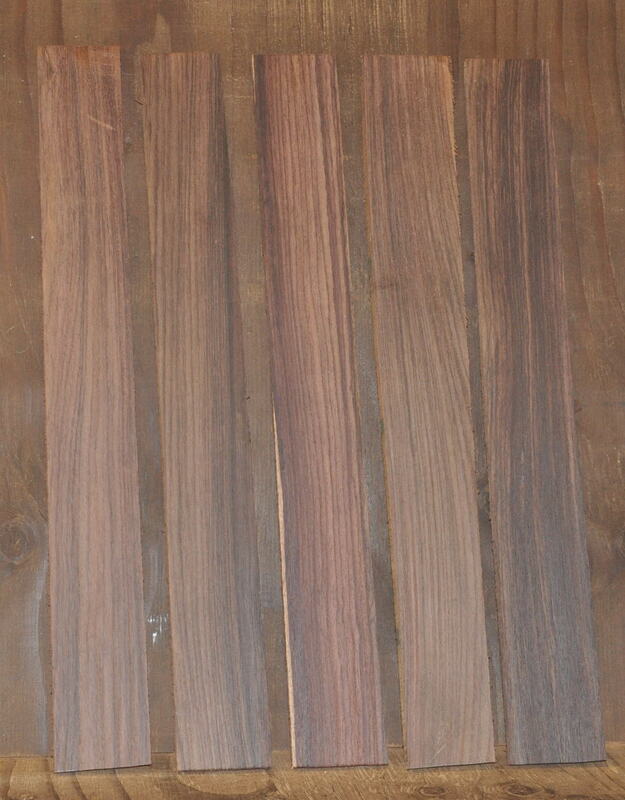 Indian Rosewood Fretboards. Minimum 9mm thick. tapered from 60mm to 65mm. 21" long. All nice pieces. Air dried a minimum of 7 years. $15.00 each. 5 or more $13.00. Best deal is to order a bunch and have them shipped in a large flat rate box.